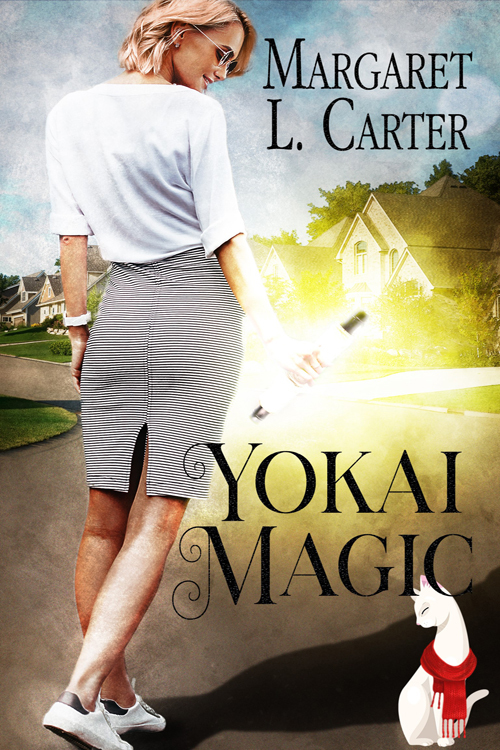 When Val unearths a Japanese scroll and a cat figurine inherited from her grandfather, magic invades her world. The statuette, actually a cat spirit named Yuki—a yokai—enchanted into that form for her own protection, comes to life. Over a century ago, an evil magician cast a curse on her, and a wolf-like demon conjured by the curse still hunts her. Because Val is the one who broke the protective spell, that dark magic endangers her, too. She must turn for help to the last person she wants to get involved with, her former high-school boyfriend, now an officer in the Navy. Together they search for a way to vanquish the threat from the spirit realm, while facing the attraction they thought they’d long since put behind them.